Yansi is a happy four-year-old girl living in a remote region of Guatemala. Looking at her now, you would never know she was very sick and close to death the first year of her life. Berta and Yansi live in a house made of cinderblocks with a tin roof in an impoverished community in Southern Guatemala. The year Yansi was born, four years ago, was the hardest year of Berta’s life. Not only was her husband, Israel, and her new baby both very sick, but both of her parents died. Without any idea what was wrong with her daughter, Berta took Yansi when she was just 45 days old to the local health center. She was diagnosed with severe acute malnutrition (SAM). Berta said it was very difficult to watch her child be sick especially since she didn’t have money to buy formula for her baby. ‍Yansi, 45 days old, is diagnosed with severe acute malnutrition at the local health center and placed on a treatment program. Yansi was placed on a six-month treatment plan by a local doctor from which she began to gain weight and started to look healthier. ‍Yansi, with her mother Berta, at six months old after recovering from severe acute malnutrition. Although Yansi was doing better, her husband was not. At 47 years old and after 30 years of marriage, Berta’s beloved passed away. Before Israel’s death, the family was supported by his salary as a mason. Now, Berta relies on two of her older children to support her and her five youngest children who still live under her roof. Berta’s typical day sounds similar to that of many American moms: she wakes up early to feed her children breakfast and prepare them for school. Then she cleans the house, goes to church, prepares dinner when the children come home from school, and puts them to bed. When she has free time, she visits with friends and family that live close by. However, she has other activities of daily survival completely foreign to many mothers in North America. While she does have running water in her home, it only runs for about an hour every two weeks. In the winter, she must collect rainwater in large drums. In the dry season (November – May) she walks at least once a day to the reservoir about one mile away to fetch water. Although Yansi was slowly recovering from severe acute malnutrition, she was still showing signs of delayed growth. At 10 months old, she was registered in the IRT Nutributter program. For the next 14 months, she received a daily ration of Nutributter, a nutritional food supplement for children which contains vitamins, minerals, and other important nutrients to promote growth, motor development, and aid in the prevention of illness and malnutrition. Now, at four years old, Yansi is tall for her age, healthy, and vivacious. Now Berta talks about Yansi with a smile instead of a concerned look. She says Yansi loves to play with the neighborhood children and is looking forward to starting school next year. She makes friends easily and loves to copy everything her mother, her hero, does. Now that Yansi is healthy, Berta hopes she grows up to be a, “good woman and that she may, through her education, enjoy opportunities I never had,” she said. 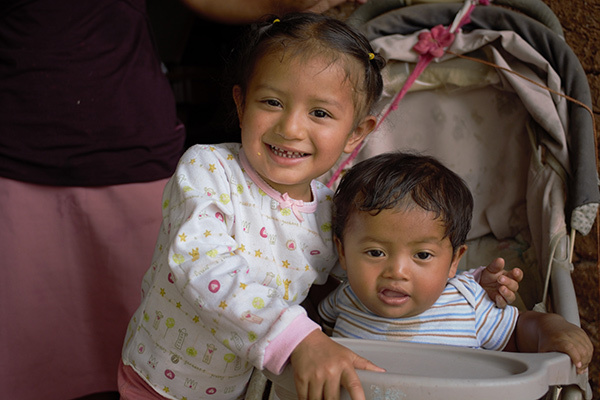 Guatemala has the fourth highest rate of chronic malnutrition in the world. Almost 50 percent of children under five are stunted, and in indigenous areas, 65 percent of the population is chronically malnourished. With a grant from USAID’s Office of Food for Peace, International Food Relief Partnerships (IRFP) program, we provide impoverished families with Nutributter, a nutritional food supplement for children six to 24 months old, which contains vitamins, minerals, and other important nutrients to promote growth, motor development, and aid in the prevention of illness and malnutrition when used daily over a sustained period of at least 10 months. 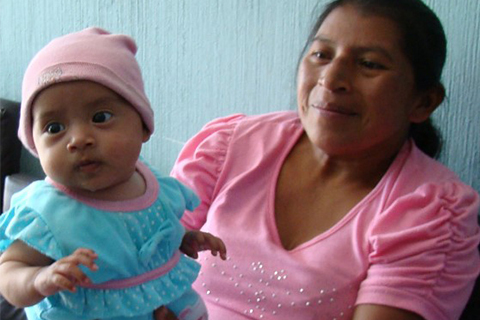 IRT has provided nutritional and health assistance in Guatemala for 23 years.